Merry Christmas everyone! Here is a collection of the ornaments I've sent out as gifts this year. I'm so happy that they've all arrived to their respective recipients just in time for Christmas day. Click on the image below to see them in complete detail. Thanks for stopping by, and have a Merry Christmas. Merry Christmas to you and your family Julianne! I hope you have a wonderful day! Merry Christmas to you and your family Julianne. This is some gorgeous stitching in your last few posts--I do love PS and your stitching/finishes are quite nice! I feel so lucky to recieve one of your gorgeous ornaments, thank you so much, Julianne. What a gorgeous selection of ornaments! I hope you had a lovely Christmas! 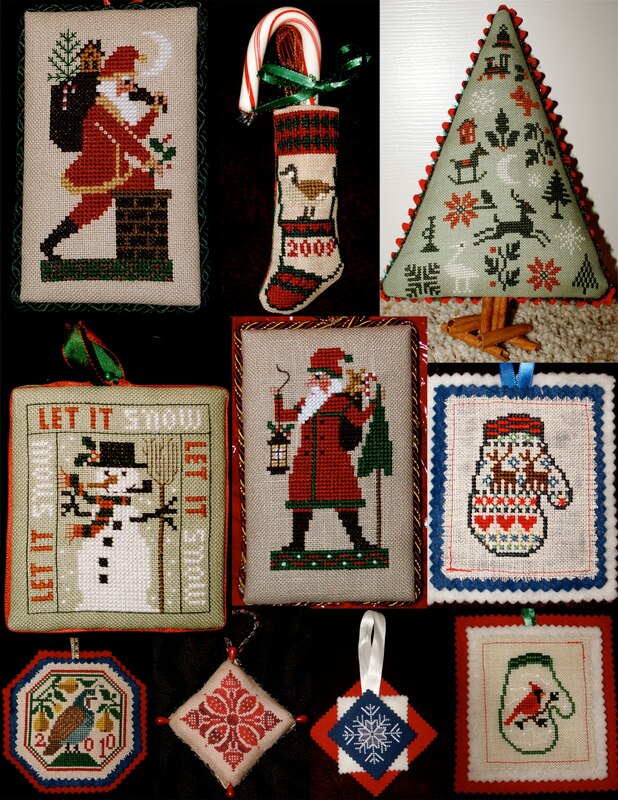 I love the ornaments, they are beautifully made. Each and every one is gorgeous, Julianne! I'm certainly enjoying my PS Santa :) Thank you again, so very much! What beautiful ornaments! I hope you had a wonderful day. Happy new year! Lovely stitching - and I envy you your "finishing" skills - I'm a completel looser in that department! 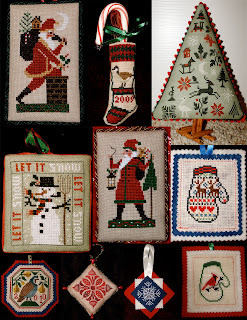 Beautiful stitching ornaments, dear Julianne. These ornaments are all lovely.